The look of pure joy on the face of a young lady with cerebral palsy…the determined smile from the autistic boy…and the enormous grin from a wounded combat veteran. What do all of these have in common? A visit to Quantum Leap Farm and a ride on one of the therapy horses who call this their home. Begun in 2000, this non- profit organization provides services for adults and children with physical and mental disabilities. 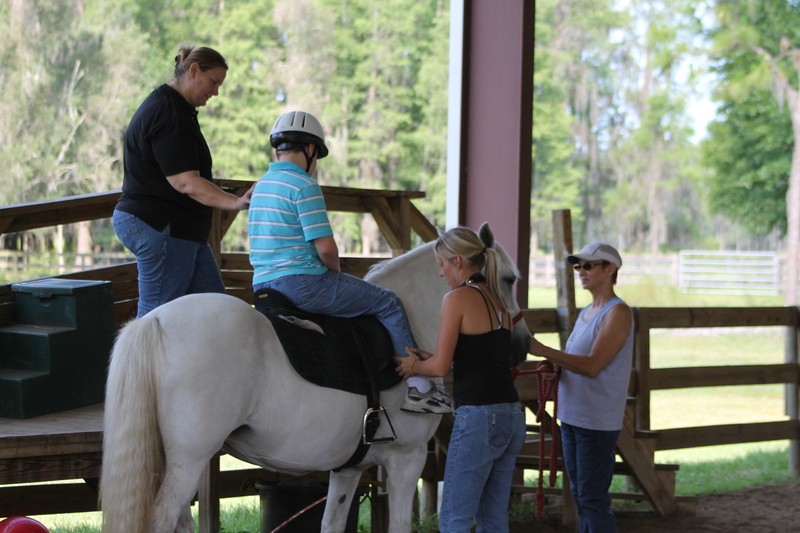 Helping people of all ages and abilities achieve goals and overcome challenges by engaging them with horses. This is one of our favorite volunteer programs so far and we head out to Odessa as often as possible to lend a hand. As a volunteer, we spent time as “walkers”. Keeping an easy pace with the horse, our job was lightly holding the leg of the rider to be sure they felt secure. Some riders didn’t need our help after the first circle, but some were more comfortable with a hand close by. While the “therapy sessions” are being conducted in the ring, volunteers spend their time mucking stalls, refilling food and water buckets and generally tidying up the barn. 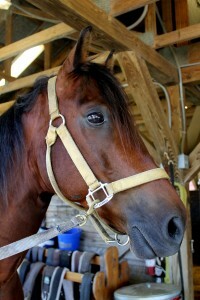 After the rides, the horses were brought back into the freshly cleaned stables for a cool bath. I’m not sure who enjoyed it more, the horses or the volunteers! If you have a few hours to spare, please give the folks at Quantum Leap Farm a call to volunteer your time. You’ll walk away with a new found appreciation for the amazing connection we have between animals and humans!